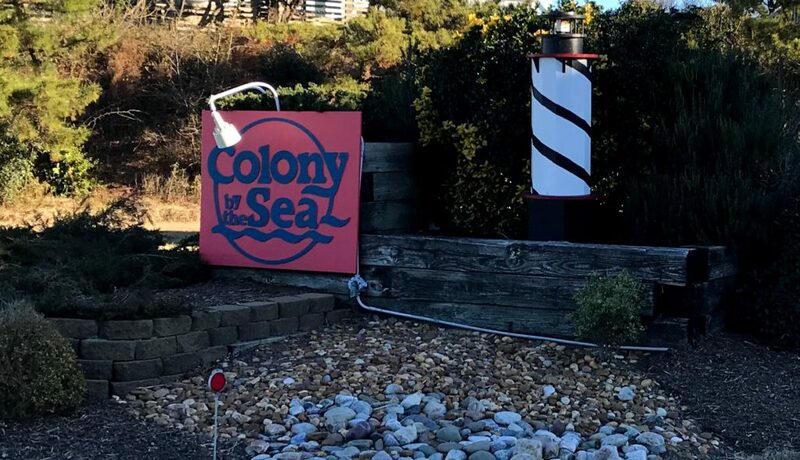 Colony by the Sea in Duck, NC is a beautiful subdivision offering both beach houses and condominiums for vacation rental. This scenic neighborhood is located in the town of Duck and is nestled between the ocean and the sound offering spectacular views of both bodies of water. In addition to breathtaking sunsets over the sound, guests may enjoy a stroll or a bike ride to Duck’s many unique shops and restaurants. Amenities include a community beach-side pool, grill and picnic area, tennis courts, playground, basketball court, two oceanfront gazebos, and boardwalks to the beach. WiFi is provided in each of the four condominium buildings.